Butterfly Conservation was formed by a small group of dedicated naturalists in 1968 following the alarming decline of many beautiful butterflies and moths, a decline that the society aimed to reverse. Our vision is of a world rich in butterflies and moths for future generations to enjoy. Butterflies are beautiful and intrinsically valuable. Together with moths, their sensitivity to environmental change makes them valuable indicators of the health of the countryside. There are 46 species of butterfly occurring in Hampshire and the Isle of Wight. Of these, 35 can be seen on our reserves. More about our butterflies... Around 1940 species of moth have been recorded in Hampshire and the Isle of Wight, over 600 of these on our reserves. More about our moths... Butterfly Conservation has over 25 reserves across the UK, including 3 in Hampshire: Yew Hill, Magdalen Hill Down and Bentley Station Meadow. Help required please click here. The Wider Countryside Butterfly Survey needs help from Branch members. Click here ... for details. 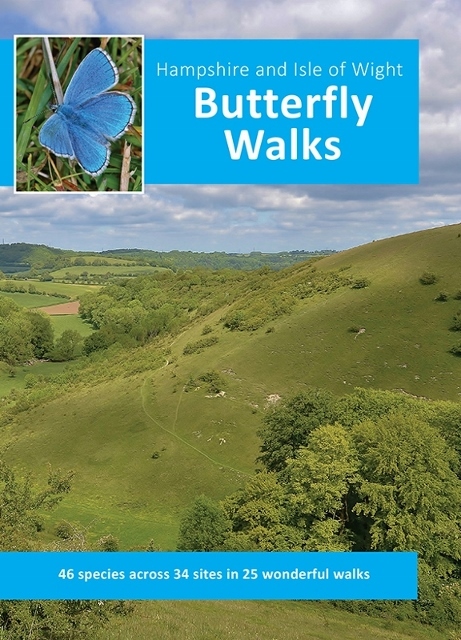 Copies will also be available for purchase (cash only) from Jayne Chapman on the Wednesday Wanders, and Ashley Whitlock on the branch fieldtrips where he is the walk leader. To report any inaccuracies in the book please email here. How does it work? Firstly you have to register with easyfundraising and name the charity you wish to support (need to provide name, email and a password). Then when you wish to purchase something on-line go to the easyfundraising website, select Butterfly Conservation - Hampshire & Isle of Wight Branch and then click through to the company you wish to buy from. There are over 2000 companies registered there. It doesn't cost you any extra as the company you purchase from pays a small sum directly to the Branch. If you wish to know more please go to the easyfundraising.org.uk website. The branch is pleased to sponsor the excellent HantsMoths website. 21 Apr 2019: Gosport - Beside the Sea! 19 Apr 2019: Martin Down.